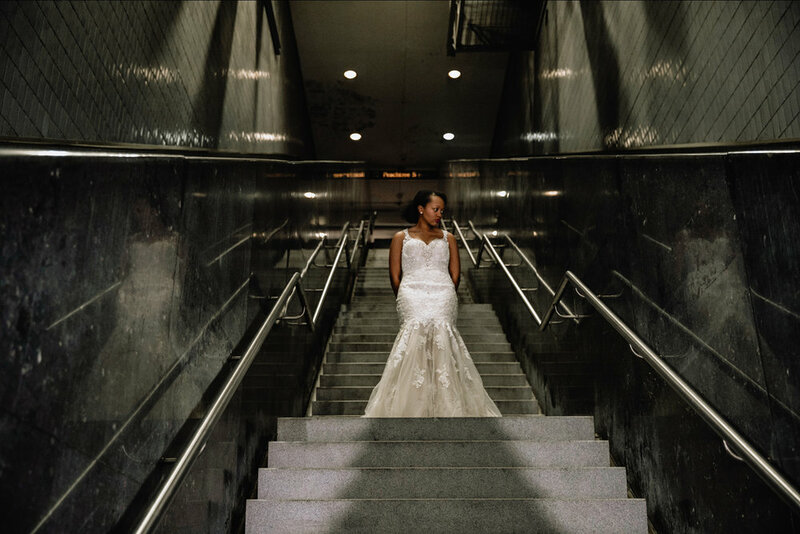 Marta stations aren't known to be glamorous, but I've been dying to shoot at this particular station for a while and this day, was that day. If you live in/near Atlanta, then you probably know about Peachtree Station. Ya know, the one with the extremely long escalator? 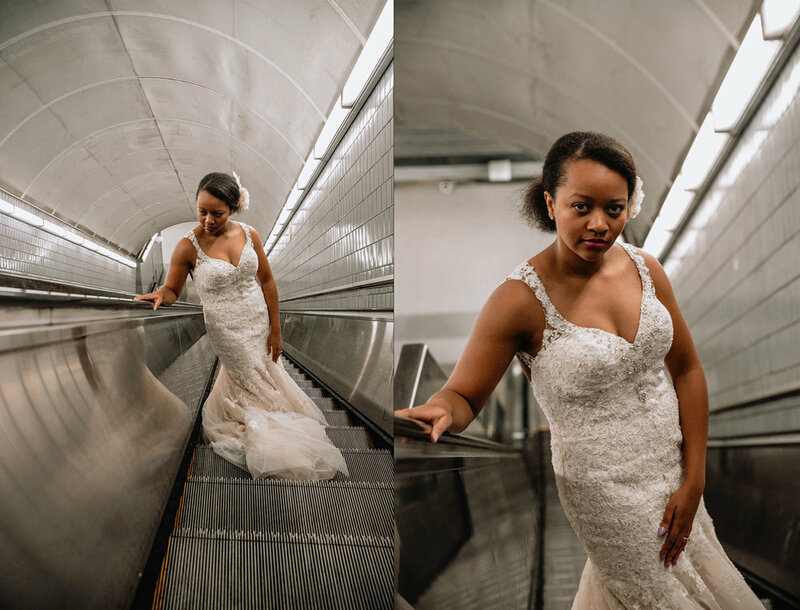 Well I got to collaborate with fellow photographer The Tinsley Co. for this edgy bridal shoot and I CANNOT express how important "community over competition" is. Before we knew it, we had the model and date picked out it's really cool to see how two people can photograph the same thing but get two different results.